Everybody worries about their smartphone batteries. You worry because you’re down to 20%. You’re troubled by the fact it’s losing charge more rapidly than before. And you’re concerned that dropping your phone might’ve dislodged something important inside. This guide is available to download as a free PDF. Download The Big iPhone Battery Guide now. Feel free to copy and share this with your friends and family. Fortunately, MakeUseOf is here for you. We’ll guide you through what your iPhone battery actually is; how you can physically care for it; how to make sure your battery lasts longer; what to do when experiencing heat issues; what settings you should play around with; and more. Along the way, we’ll answer your questions about improving percentage accuracy; what Low Power Mode is; if you should replace your battery; how extreme temperatures and moisture can affect its internal components; and how to safely store a battery long-term. Note: All steps are based on the latest software at the time of writing: iOS 10.3.3 iOS 10 Is Here! Why You Should Upgrade Right Now iOS 10 Is Here! Why You Should Upgrade Right Now Apple's tenth revision of its mobile operating system is here. This is how to upgrade right now for free. Read More . In the unlikely event you get under the hood of your iPhone, you’ll find the battery taking up much of its inside. So what actually is it How a Battery Works and 3 Ways You Can Ruin It How a Battery Works and 3 Ways You Can Ruin It The modern battery is featured in so many of our favourite technologies that you could almost be forgiven for not spending time learning about their workings. Read More ? Your iPhone battery is a rechargeable Lithium-ion (LIB) cell, which, Apple boasts, has longevity in comparison to other phone batteries Battery Technologies That Are Going to Change the World Battery Technologies That Are Going to Change the World Battery tech has been growing more slowly than other technologies, and is now the long tent pole in a staggering number of industries. What will the future of battery technology be? Read More . It’s made from mercury, lead, nickel, and cadmium. They’re pretty complicated things. Ask most people how batteries actually work, and they’ll shrug and carry on with their lives. But if you’re interested: the negative plate anode is separated from the positive plate cathode by an electrolyte solution. The anode discharges its negative electrons through a circuit that includes whatever needs power, i.e. your device, as the cathode attracts the positive electrons. Charging your device transfers positive electrons to the negative anode. LIB are also very lightweight: depending on your model, the battery alone weighs between 26g (2010/11’s iPhone 4, and the iPhone SE, released in 2016) and 60g (any iPhone 5s units released in 2013), according to Apple. This is the first thing you need to know about battery life: iPhones don’t measure their battery lifespans in years but in cycles. Ignore the battery percentage at the top right of your phone — this has nothing to do with that. A charge cycle is how long your battery takes to get through 100%. You may charge it from 40% to 100%, meaning you were 60% through a cycle. Even after charging your unit, you’d need to use up a further 40% to complete that original cycle. You could expend one full cycle in a day, or across a few days depending on usage. What’s Your iPhone Battery’s Lifespan? It’s very difficult to determine the exact lifespan of a device because it depends on how labor-intensive you are. How long is it on for? How many hours a day do you use it? And how often do you charge it? That’s why a lifespan is typically measured in charge cycles. Whenever you fully run through a cycle, your battery is gradually diminished. This happens very gradually, so you won’t notice it. The chemical reaction needed to produce electricity 8 Unbelievable New Ways of Generating Electricity 8 Unbelievable New Ways of Generating Electricity Alternative energy is one the rise, but you may not know about all the options. Here are some of the craziest new ways of generating power. Read More leaves thin layers of lithium as a by-product. This covers the electrodes and so increases internal resistance, lessening the amount of charge it can use to power your device. Apple has always stood by the notion that it takes around 400 cycles for your phone or iPod battery to drop 100% to 80% of its original capacity. That’s roughly two to three years. After this point, you’ll probably notice that your phone won’t hold as much charge as previously; nonetheless, it’s still very much useable. All the stuff you can easily do with your battery can be found by going on Settings > Battery. Let’s run through what you can see from there. We’ll come back to Low Power Mode, as there’s a lot to cover there! In the status bar, you can see the amount of charge your battery is currently holding. But that’s always been a pretty unspecific measure. In the Settings menu, you simply have to turn on Battery Percentage and a more realistic gauge will appear in the top right of your phone. Image Credits: Paul Hudson via Flickr. Sometimes, however, even that is inaccurate. It might say it’s on 20% one instance, and in the next, it’s nearly dead. That’s generally due to a battery’s age: its capacity degrades, and so 100% indicates only that it’s charged to the fullest extent that it can currently hold. In order to increase the percentage accuracy, you’ll need to recalibrate your battery — which is easier than it sounds. Most of us have accidentally let the battery run out completely; to recalibrate, you need to do this on purpose. Resist the urge to charge it at 10%. Let it die. After you’ve done that, plug it in to charge. Your iPhone will naturally turn itself on once it’s reached enough power to do so. Once it does, turn it off again: don’t worry, you can charge it while it’s turned off. You need to charge it up to 100% again. As the screen’s inactive, you’ll need to use some guesswork. We’d advise you leave it at least 2 hours if it’s a relatively new model (but we’ll come back to that). Turn it on while charging and verify that it’s at 100%. If so, unplug it. Your battery is now recalibrated. It’s good practice to do this on a semi-regular basis. Don’t do it more than once every 3 months; every 6 months is ideal. At the bottom of the Battery Settings, you’ll see the consumption levels of your apps 6 Things You Didn't Realize Your iPhone Is Tracking 6 Things You Didn't Realize Your iPhone Is Tracking Your iPhone keeps tabs on all kinds of things -- here's how to use that to your advantage. Read More . You can toggle this to demonstrate usage within the Last 24 Hours or Last 7 Days. Clicking on the clock icon next to these will further show the actual amount of time each app occupies the screen or runs in the background. Typically, default apps like Music, Photos, and Messages (ie. iMessages, SMS, and MMS) use a smaller proportion of your battery than popular additions like Facebook Facebook Drains Your Battery, Bing Profits from Windows 10... [Tech News Digest] Facebook Drains Your Battery, Bing Profits from Windows 10... [Tech News Digest] Facebook fixes its iPhone app, Microsoft Bing turns a profit, Spotify lands on the original Chromecast, Harmonix employees review Rock Band 4, and how Star Wars would sound if we all came from New York. Read More , Twitter, and Pokémon Go. Safari is an exception to this, naturally depending on what you’re using the internet for, and for how long. Be cautious if any single app is using upwards of 30% in 24 hours, or more than 25% in a week. Why Does “No Cell/Mobile Coverage” Use Power? You might be surprised to see “No Cell Coverage” or “No Mobile Coverage” draining your battery. This will only show when using iOS 9.2 or newer What's New in iOS 9? What's New in iOS 9? Want to know what features your iPhone will be getting with the release of iOS 9 in September? Curious as to whether your device will be compatible? You're in the right place. Read More , but affects all smartphones — before now, you might just not have known about it. When your phone has low signal or No Service, it increases its output in order to maintain or find a connection. It doesn’t even matter if you’ve got Wi-Fi access because you can’t count on the internet for calls and SMS to come through. Yes, sustained periods with no connection eats up some serious power. Even being in a house with No Service for a little while will affect your battery. You can limit its effects by turning on Airplane Mode, but this also stops any incoming signals; so if you do manage to find a connection, messages wouldn’t come in until you disable it again. If you need to use iMessage 12 Cool Things You Can Do With iMessage Apps for iOS 12 Cool Things You Can Do With iMessage Apps for iOS You can do a lot more than simply send text, voice, picture, and video messages with iMessage. Read More and have access to a nearby router, you can always connect to the internet after switching on Airplane Mode by tapping Settings > Wi-Fi > On. 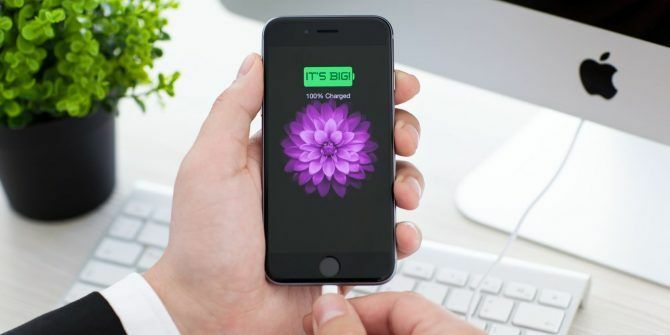 If your power drops to 20%, your phone will suggest you use Low Power Mode This One Trick Can Make Your iPhone Battery Last for Days This One Trick Can Make Your iPhone Battery Last for Days When you find yourself without a charger, you can use this quick tip to squeeze a few more hours out of your battery. Read More . It’ll further prompt you at 10%. Alternatively, you can do it yourself through Settings > Battery > Low Power Mode. Very simply, this makes your battery last longer while in an emergency Turn Your iPhone Into A Personal Security Device for Emergencies Turn Your iPhone Into A Personal Security Device for Emergencies Bonnie Tyler famously sang that in a tight pickle, she needed a hero to rescue her. I say the only thing you need is your iPhone. Read More . You can disable that feature in the same Settings menu; alternatively, it’ll automatically turn off when the battery reaches 80%. 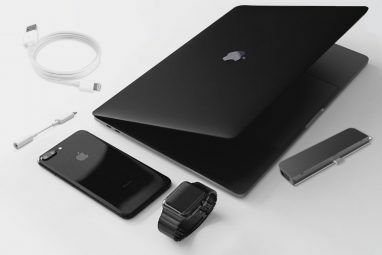 It also defaults Auto-Lock to 30 seconds, and reduces the brightness of your screen Why Your Eyes Hurt Using a New iPhone, iPad Or iMac Why Your Eyes Hurt Using a New iPhone, iPad Or iMac The Apple LED screen is a common source of complaint among consumers. Many new iPhone, iPad, and Mac users have reported that it causes eyestrain and general discomfort, yet if you look around on the... Read More . On top of that, your phone will run slightly slower than usual, merely as it saves more power by reducing the performance of its CPU and GPU. Some apps detect when Low Power Mode is activated, and may disable certain features which use up the most power. Studies show that an iPhone can last between 30% and 40% longer in Low Power Mode than it usually would. If in doubt, try it out. It’s the difference between your phone dying while waiting in a queue on the motorway, and managing to get home to charge it up again. By reducing the amount of unnecessary activity, it will also mean your iPhone will charge faster! Should You Use It All the Time? This is difficult to answer because it largely depends on what you expect from your device. Yes, Low Power Mode will make your battery last longer without actually damaging your smartphone. Performance will be limited, but not to a considerably detrimental degree. On the other hand, if you like your phone to automatically update apps, or want to know the minute an email arrives in your Inbox, you’ll only want to use it for emergencies. Plus, of course, if you charge your iPhone above 80%, the feature is disabled straight away. The important thing is, Low Power Mode doesn’t damage your phone, but does reduce its performance, while increasing power. It’s up to you to decide what’s most important to you. Your charge is draining at an alarming rate and you’re worried about what to do. Fortunately, you can save your battery life fairly easily. Undoubtedly, your first port of call is checking whether a newer version of iOS is ready for you to download. Apple issues patches for various problems in each roll-out, and yes, that includes troubles users are experiencing with their batteries. Next, check out your screen brightness. You can access this through the Control Centre by swiping up on your lock screen or through Settings > Display & Brightness. Auto-Brightness might be switched on as default, but you can toggle the slider from there. Just turning it down a bit should help keep a little more charge. In this same menu, changing Auto-Lock to 30 seconds won’t feel like it’s saving your power, but it’s a long-term fix. The same can be said of a relatively new feature, Raise to Wake: turning this off will stop your phone lighting up when it detects any movement. You’ll simply need to use the Home button to wake your device up. Turning off visual effects like Perspective Zoom when adding wallpapers will also shave off battery power. These are all changes that’ll have very little effect to you; further amendments, however, will slightly alter your iPhone’s functions, but do aid battery life. From the Control Centre, you can turn off Bluetooth; and on that same screen, change Airdrop functionality so it reads Airdrop: Receiving Off; and go to Settings > Privacy > Location Services and turn it off to save power (but rendering any GPS-enabled apps like Maps useless). Some will advise you turn off Wi-Fi too, but that’s deeply impractical. Seriously, do you know anyone who does that?! All the little things add up How to Fix Poor iOS 10 Battery Life How to Fix Poor iOS 10 Battery Life Battery life not quite what it was before you updated? Here's what's going on and how to improve it. Read More , so keep account of how your use your phone and so which services you can disable. Go to your Control Centre. See that small airplane logo? That activates Airplane Mode Everything You Need to Know About Airplane Mode for iPhone & iPad Everything You Need to Know About Airplane Mode for iPhone & iPad Does your phone charge faster in Airplane Mode? Will your alarm still work? Can you use Bluetooth? Here's what you need to know. Read More . Alternatively, you can find it in Settings. Yes, you might want to turn it on sometimes because it comes in handy. It works in a similar way as Low Power Mode, limiting any activities that drain your battery. It has the added benefit of stopping you using up your cellular data Everything You Can Do to Cut Down Your iPhone Cellular Data Usage Everything You Can Do to Cut Down Your iPhone Cellular Data Usage If you’re sick of running out of data or racking up massive bills, it's time to take control of your usage and restrict what your iPhone can do online. Read More . But wait: there are consequences of using it. Airplane Mode suspends signals on radio-frequency, so you won’t be able to send or receive text messages (including iMessages) and emails, or make calls. Your Bluetooth will be deactivated. You won’t have any internet capabilities. Siri is useless. Make no mistakes: it severely limits the amount of stuff you can do on your iPhone. If it’s a straight choice between using this and Low Power Mode How to Save Battery in iOS With This Low Power Mode Trick How to Save Battery in iOS With This Low Power Mode Trick While your phone will prompt you to turn low power mode on once your battery hits 20 percent, there's no reason to wait that long when you can just do this instead. Read More , go for the latter. Image Credits: Cory Hatchel via Flickr. Yet you’ll want to activate Airplane Mode most days. This is because it speeds up charging! Get into the routine of plugging your phone in to charge, and turning on Airplane Mode. Perhaps leave the Settings screen open so you remember to turn it off again when unplugging your device. Not sure whether Airplane Mode is on? Check the top left of your screen; if there’s a small airplane icon where the carrier settings are supposed to be, you’ll need to amend this. It’s a great way to give your phone an extra boost when charging in a hurry. Does Closing Apps Improve Battery? This myth has been around for a long time now, and it’s certainly persistent. It probably stems from the fact you can swipe away apps by double clicking the Home button and flicking them away: after all, why else would you have the capability if not to use it? Another factor might be how therapeutic it feels to limit the number of apps open — like swiping your problems away. It also seems to make sense, considering the way we’re all warned about apps running in the background, using up battery and data. 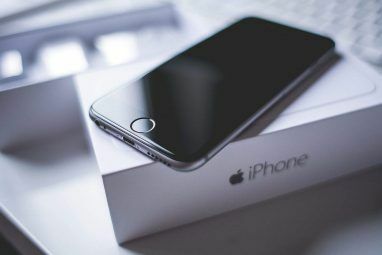 But it’s not true 5 Bad iPhone Habits You Should Break Today 5 Bad iPhone Habits You Should Break Today Think you're a responsible smartphone user? Reckon you're saving battery by killing all those apps? Think again. Read More . In fact, closing down apps does the opposite of what you’re trying to achieve. Whenever you reopen apps that you’ve previously shut down, it uses more CPU power to load it again. Worried About Apps Running in the Background? Now, don’t get us wrong. Apps running in the background can absolutely kill your battery. When you’re using an app but return to the homepage, that app temporarily freezes. But it also refreshes itself, so you get the latest content when you go back on it. Fortunately, this is easy to amend. Simply go on Settings > General > Background App Refresh. From there, you can either turn it off altogether or toggle individual apps depending on your own preferences. Which Apps Drain Your Battery? This is the big one. More often than not, apps are responsible for your charge draining so quickly. A list of apps that aren’t great for your battery life would be a mammoth effort. But which are the main offenders Avoid These iPhone Apps for Better Battery Life Avoid These iPhone Apps for Better Battery Life Killing background apps won't save your battery — in some cases you'll have to completely avoid an app in order to stop it from draining your smartphone's energy. Read More ? First of all, games can use up a lot of juice. They take a lot of power to load up and then maintain a decent level of graphics. They could also cause your phone to heat up, which we’ll come back to later on. Image Credit: Tanja Cappell via Flickr. Secondly, there’s social media apps, including messengers like WhatsApp and Facebook’s popular addition. The core issue isn’t particularly checking status updates and the latest tweets Forget Twitter's Official iPhone App: Use These Instead Forget Twitter's Official iPhone App: Use These Instead Now that we've told you why everyone needs Twitter in their lives, here's one more piece of unsolicited advice: don't use the official Twitter app. Read More (although it depends on how regularly you check those). Instead, it’s how they keep refreshing themselves in the background, so again, you need to toggle your settings to deal with that. And just edging into the top 3 offenders is any app that uses GPS It's Time to Stop Disabling GPS on Your iPhone It's Time to Stop Disabling GPS on Your iPhone Whether it's to conserve battery life or to stop the NSA tracking your every move, it's likely your reasons for crippling your iPhone's ability to locate you aren't justified. Read More . Sadly, that includes Maps. Luckily, there’s something of a fix for the latter: go to Settings > Privacy > Location Services. From there, you can disable GPS on an app-by-app basis. You don’t want any applications to be set as Always allowing location-based data. You might be shocked at the number requesting such information anyway, and in those cases, switch to Never. For the most part, though, you should default to While Using. It’ll still drain battery power, but does at least ensure you’ve got control. It’s up to you what you do with battery-intensive apps. Do you delete them? Do you limit the amount of time you go on them? You need to judge where your priorities lie. After all, what’s the point in a smartphone if you’re not going to enjoy all the features on offer? People can get a bit paranoid about charging their phones. They keep checking it in case the cable’s fallen out. They worry it’s taking too long. They look for tricks to make it charge faster. Should You Charge an iPhone Immediately? You open up your brand new iPhone 15 Apps for Your New iPhone 15 Apps for Your New iPhone Have you been lucky enough to get a new iPhone 7 recently? Once you've finished admiring your new gadget, you'll need to install some apps. Read More . You’re excited. Ah but wait! You seem to remember having to charge handsets up to 100% before using it for the first time. Should you do the same with an iPhone? Thankfully, smartphones are generally shipped with at least 50% power, so you can use them straight away. We can’t tell you exactly how long your iPhone battery will last on an average — because there is no average. It all depends on you. Needless to say, 80%- 100% charge should be enough to last throughout much of your day. Image Credit: Miki Uchida via Flickr. A number of factors also determine how long it’s going to take to charge to maximum. What percentage is it down to? Have you activated Airplane Mode? What charger are you using? On average, it’ll take around 2 hours 30 minutes to charge your smartphone fully. If you’ve only got an hour to spare, switch on Airplane Mode: it should power up a great deal in just 60 minutes. This is good practice regardless. Airplane Mode speeds things up so greatly that an hour should be enough time to charge up to 70%- 80%. Wall socket chargers will also work quicker 4 Tips To Increase Smartphone Charging Speeds 4 Tips To Increase Smartphone Charging Speeds Faced with a low battery warning right before you need to leave? These neat tricks can help you charge your smartphone faster than usual so you aren't left with a brick in your hand. Read More . Lithium-ion batteries are really smart actually, but what they do sounds counter-intuitive. They’ll typically charge to around 80% surprisingly swiftly, but after that, will take around 45 minutes to reach 100%. This is because it gives the battery time to cool down and gradually fill to capacity more accurately How to Make Your Phone's Battery Last Longer and Hold More Juice How to Make Your Phone's Battery Last Longer and Hold More Juice Battery life is one of the biggest struggles of modern-day electronics. Smartphones, tablets, and laptops all deal with it -- so what can you do to maximize the amount of time you get per charge? Read More . Should You Let the Battery Die? You shouldn’t often fully deplete your battery, no. That actually harms it 10 Popular Smartphone Myths That Aren't True 10 Popular Smartphone Myths That Aren't True We're going to tackle 10 of the most prevalent smartphone myths today and see if we can't do our part in ending the misinformation surrounding today's smartphones. Read More . You should aim to keep your battery somewhere between 40% and 80% most of the time. Certainly only go below 20% in extreme circumstances, and below 10% in emergencies. Apple used to advise you recalibrate it every month to improve percentage accuracy — but that’s not essential. It’s unlikely your battery will substantially deteriorate in that time, so it’s better you recalibrate it every three months or so. Can You Use Your Phone While It Charges? Okay, so it’s not always that simple. So many myths have built up 8 Common Misconceptions About Mobile Device Batteries You Need To Know 8 Common Misconceptions About Mobile Device Batteries You Need To Know Let's strap in and clear the air about some of these commonly-held mobile battery myths. Read More around the idea that using your phone as it charges will harm the battery. But generally, you’re absolutely fine to carry on answering calls and replying to texts. That won’t be possible if you’ve activated Airplane Mode. You should avoid playing games or any other apps that use a lot of CPU power, however. These naturally make the unit heat up, as does charging it. It’s rarely dangerous, but as it’s unnecessary, why take the risk? Should You Charge it at Night? You do this, don’t you? A lot of people do, especially if they use sleep-tracking apps 7 iPhone Apps To Monitor Your Sleep & Help Improve It 7 iPhone Apps To Monitor Your Sleep & Help Improve It In this "there's an app for that!" world, there are countless apps that promise to monitor, analyze and help you sleep so you can see what's working and what's not. Read More . It’s really convenient as well. But is it safe to do so? Does it damage your battery? The answer to both of those questions is, typically, yes. Some will tell you that a charging phone left unattended is a fire hazard, and admittedly, in rare instances, that’s true. Certainly if you own a Galaxy Note 7 Why the Samsung Galaxy Note 7 Keeps Exploding Why the Samsung Galaxy Note 7 Keeps Exploding Samsung has finally figured out what was causing the Galaxy Note 7 to explode. Now it can focus on salvaging consumer confidence in the Samsung brand. Read More . Indeed, you see occasional reports of overheated units placed on or near your bed causing fire. Don’t put your iPhone underneath your pillow or somewhere it’s liable to get wrapped up in your sheets. Don’t panic. The chances of anything bad happening are incredibly slight. As for how it affects your actual battery, it’s not something you’ll particularly notice. But leaving it plugged in at night does shorten its life. Image Credit: Per via Flickr. This is due to the “trickle charge” effect. What actually happens if it’s left charging beyond reaching 100% is that it drops by a tiny amount before building up to full capacity again. So it’ll fall to 97%, for instance, (though may not report that lower figure) then climb back up to 100%. Imagine this happened again and again. Then remember the charge cycle and how it diminishes a battery’s lifespan. Those incremental drops in charge add up, and count towards the charge cycles. Many still think this is a fallacy because the damage is so insubstantial. But if you’ve been doing this for years and barely noticed any ill effects, and you’re happy with your battery performance — what’s the problem? For a while, no one knew whether this worked or if it were just a myth. When charging, put your iPhone face-down When You Need to Extend an iPhone's Battery Life, Just Put It Face Down When You Need to Extend an iPhone's Battery Life, Just Put It Face Down Your iPhone's battery might not last as long as you want it to. But did you know that you can keep the screen from turning on with a simple motion? Read More . Some thought this had something to do with gravity aiding the connection between the battery and the charger. Others thought it made no sense whatsoever. But as of iOS 9, there’s actually some point in it — not only while charging but in general. That system update introduced Facedown Detection, which knows when the device’s screen isn’t being viewed, i.e. when it’s flat against another surface. It simply means that your phone will make a noise or vibrate when a message comes in, but notifications won’t appear. You may balk at this. Nonetheless, it does save some battery because it doesn’t bother lighting up the screen to display each individual notification straight away. Furthermore, you’re not being distracted all the time by messaging apps; the less time spent on your phone means less power used. Should You Leave Your Case On? You probably do already, but might be unsure about whether this is good or bad for the device. Typically, it doesn’t make a lot of difference if you leave your phone case on while charging. Your core concern should be heat. The vast majority of cases are designed so that excess heat isn’t trapped, but in rare cases, it’s locked in so can get very hot. Again, putting your phone face-down might help with this. It’s not unusual for your battery to heat up while plugged in, so don’t panic when it does. Officially, Apple advises you use or charge your phone in temperatures between 62° and 72°F (or 16° and 22°C), which is generally considered room temperature. Still, take your case off now and then during charging: at least you can clean both the iPhone and case! Do You Have to Use an Official Charger? Apple won’t be happy about this, but no, you don’t need to use an official charger Fake Chargers Kill Battery: 4 Tips to Find the Right Charger and Cable for You Fake Chargers Kill Battery: 4 Tips to Find the Right Charger and Cable for You You may think that charging your phone consists of finding a cable with a plug that fits. Not so. Not all chargers are created equal. Is that cable killing your battery? Read More from the company. However, that’s said with a little trepidation. It’s fine to use third-party chargers 5 Quick Tips for Taking Good Care of Device Chargers 5 Quick Tips for Taking Good Care of Device Chargers We fret so much about taking care of our batteries that we often forget to take care of our chargers! Here are a few tips you should keep in mind. Read More , but beware cheap counterfeits. Remember the old adage: if it looks too good to be true, it probably is. The same goes for Lightning cables. The main concerns are overheating; electric shocks; and damage to the phone. Image Credit: Vijay via Flickr. When in doubt buy from reputable third party vendors, look for brands you know, and check for the “Made for iPhone” (MFi) mark. You don’t need to get hands-on with your smartphone battery in order to physically care for it. Does Dropping Your iPhone Affect the Battery? Yes, dropping your phone can affect the battery. That doesn’t mean it always will, though. All of us have dropped our smartphones now and again. If you’re particularly unlucky, you’ll be mocked daily by the sight of a cracked screen 7 Practical Things to Do After Cracking Your Smartphone Screen 7 Practical Things to Do After Cracking Your Smartphone Screen Broken your phone's screen? Don't worry! Here's how you can carry on using the phone, or sell it online to fund a new one. Read More , a spider’s web reminding you that you’re Only Human. The shock of your phone hitting the floor or another hard surface is naturally going to impact on the internal components. In most cases, you drop it, curse, pick it back up very quickly, and thank God it still works. In the worse cases, proper damage is sustained. If it won’t charge again, that’s a tell-tale sign something’s wrong inside. How can you protect against this? In the words of The Killers, “If you can hold on, hold on”. The best protection against damage caused by dropping your phone is… don’t drop your phone. Easier said than done. Assess what’s actually making you drop it: would it be better in a case? Is it in a case, albeit a slippery one? Try investing in one with better grip. A protective case can also help if you’re just naturally clumsy. Consider a shockproof cover that’ll limit effects on internal components. Perhaps you were insane enough to be filling up a bathtub while on your phone. Maybe you just accidentally dropped it into a puddle. Either way, water is your device’s arch-enemy How To Save A Wet Cell Phone Or Tablet How To Save A Wet Cell Phone Or Tablet I’ve got bad news for you. Dropping your phone in a puddle of water, bath, sink, toilet – even getting caught in a heavy shower – will leave it irreparably damaged. The same goes for... Read More . But phew, you pick it up and it seems to be alright. Not so fast. Even if you think it’s had no effect whatsoever, you don’t know how it will have impacted your internal components. Water can gradually corrode elements inside, and can be dangerous. The old adage about sealing your phone in an airtight plastic bag filled with rice does actually work –to some extent. Leave it there for the better part of a day. It might at least mean it’s useable for a little while. It’s better to be safe than sorry, though, so take your phone to an Apple store and explain what happened to an assistant. They’ll probably run a Diagnostics test and take your device apart to examine it properly. This should give you peace of mind, at least. Note: If you have an iPhone 7 or 7 Plus (and later) your device includes basic water resistance. You can go as deep as a metre for 30 minutes, according to Apple. However this isn’t proper waterproofing and Apple won’t honor warranty claims for water damage sustained. How Should You Store It? You’ve replaced your phone with a newer model, but don’t want to get rid of your old one. You might then be wondering how to store that previous phone. In some products, for example, you take the batteries out, fearing that they’ll damage the actual item. Image Credit: Alim Mohammed via Flickr. Fortunately, you don’t have to do the same with your iPhone. In fact, you’re advised against touching the battery at all, let alone removing it yourself. Similarly, you may consider either charging your battery to its fullest or depleting it entirely — but don’t do either. These actually damage its lifespan, and in the latter case, could mean your phone won’t hold charge again. Instead, charge it to around 50% and turn your device off. Draining it entirely might mean it falls into a permanent state of discharge, so won’t power up again under ordinary circumstances. Leaving it at 100% could damage its maximum capacity, diminishing its lifespan. Should the former occur, your best option is to replace the battery (if you do, indeed, want to use it again). If you intend to store it for an especially long period of time, you’ll need to check on it every six months. The charge will likely have dropped down slightly, in which case, you should recharge it back up to 50%. Just don’t forget to power it down before putting it back into storage! Make sure you store the device in a cool, moisture-free environment. Forget the myths about keeping batteries cold in the freezer 3 Best Smart Refrigerators You Can Buy Right Now 3 Best Smart Refrigerators You Can Buy Right Now There is currently a set of new smart fridge models, as manufacturers attempt to give their next generation of products a new appeal. There are some great products on the market. Read More . They’re designed to run at room temperature, so storing them in any other circumstances doesn’t make any sense at all. Any extreme temperatures affect your battery and your phone’s performance. Most of us have worried about how hot our phones can get from time to time, but as long as you use some common sense, you should be fine. What’s the Ideal Operating Temperature? It goes without saying that devices work best at room temperature, so what does that actually mean to you? After all, ambient temperatures vary depending on where you live, where your phone is, and the season. Image Credit: Rachel Docherty via Flickr [Broken Link Removed]. Typically, room temperature is measured as around 20°C (68°F). There’s a good deal of leeway, however: your iPhone operates best between 16°C and 22°C (62°F and 72°F). That’s not to say that a few degrees either side of those estimates will be detrimental to your smartphone. In fact, you only need to worry should the room temperature rise to 35°C (95°F) or above. There are two main reasons your smartphone overheats iPhone or iPad Getting Hot? Here’s Why & How To Fix It iPhone or iPad Getting Hot? Here’s Why & How To Fix It There are a few different reasons your iOS device might get hot. Here's what you can do about it, and when you should start to worry. Read More . The first is simply the room temperature. Direct sunlight will naturally increase the temperature of your handset. The second is a more likely reason your unit is hot: internal/software issues. It’s pretty standard, so don’t panic too much. Your phone’s capabilities are incredible. Think of it as a small PC. Except computers generate lots of heat and channel it through a heat sink How Heat Affects Your Computer, And Should You Be Worried? How Heat Affects Your Computer, And Should You Be Worried? From time to time, we all get concerned about our computer's temperature. But should we be worried? Read More in order to cool the overall unit down. iPhones don’t have heat sinks because there’s simply not enough space for them; instead, they channel that heat across the back of the unit to help dissipate it. Sometimes, that’s not enough. Features generate heat from the battery and system-on-chip (essentially its CPU). Gaming apps are especially guilty of being labor-intensive, closely followed by streaming videos. You might think Safari is to blame, but actually, once pages have loaded, CPU usage drops back. You’re basically cruising. In some older models, maps might be an issue. Especially when GPS capabilities are combined with gaming — such as in Pokémon Go, for example. In addition to these, charging your handset also causes excess heat, so don’t be surprised if it’s warmer than usual. Again, it depends on the circumstances, but your phone will take preventative measure against overheating anyway. The screen brightness might dim to start with. It may even turn entirely black. Its performance will also be affected: good luck trying to get a game, or indeed anything with advanced graphics and CPU-usage What Is A CPU and What Does It Do? What Is A CPU and What Does It Do? Computing acronyms are confusing. What is a CPU anyway? And do I need a quad or dual-core processor? How about AMD, or Intel? We're here to help explain the difference! Read More , working. You’ll also likely lose signal. Similar to Airplane Mode, radio-signal frequencies may become limited so you probably won’t receive any texts for a little while. Furthermore, your camera’s flash will be temporarily disabled, which you presumably wouldn’t have expected. And as promised, you’ll just have to wait for a while before you can do anything with it again. Does the Cold Affect Phones? Yes, any extremes have an effect Winter Is Coming: Using A Smartphone Or Tablet In Extreme Weather Conditions Winter Is Coming: Using A Smartphone Or Tablet In Extreme Weather Conditions From time to time I have to venture outside and this can mean using my phone, tablet or even (in rare cases) a laptop to get work done while in transit. Extremes of weather can... Read More on your phone, although you’re far more likely to have heat issues than troubles with the cold. Nonetheless, if you still believe putting your battery in a fridge or freezer will extend its lifespan, you’re wrong. A good rule of thumb is not to expose your device to temperatures lower than 0°C (32°F), certainly not for an extended period of time. You might be risking your battery if you listen to music while having a shower or bath. Anything that produces steam is obviously going to increase the room temperature. Image Credit: Ian D. Keating via Flickr. Heat isn’t the only problem. A build-up of moisture in the air can also mean some water damage to the internal workings of your phone. Any detrimental effects will be very gradual, but are likely to shorten your battery’s lifespan. Such deterioration isn’t confined solely to your battery: water can corrode a lot of components under the hood, including circuitry and resistors, as well as your SIM card. Most iPhones come with sensors to detect water damage, notably on the motherboard 3 Common Mistakes That'll Damage or Ruin Your Motherboard 3 Common Mistakes That'll Damage or Ruin Your Motherboard These mistakes are simple and seemingly insignificant but can lead to motherboard damage, which will cut your computer or laptop's life shorter than you expect. Read More , headphone jack, and charging port. Again, a modern water resistant model will provide more protection than older models. Taking basic precautions — like not leaving it in a hot car — is a simple way of preventing overheating. So don’t sunbathe and leave your iPhone exposed to the sun’s rays. Find a nice bit of shade, even if that’s in a bag. But don’t overcrowd it so that heat is locked in. In rarer instances, a protective case could trap the heat, preventing its dissipation. This is especially true while charging your phone. If you’re really worried about how hot it’s getting when plugged in, just take any bulky cases off for a while and see if that works. And if you’re running on an older system, update to the latest version of iOS. Apple aims to improve the performance of features with subsequent roll-outs; if a default app is putting too much pressure on the CPU, a patch will likely be issued quite quickly. Similarly, you need to update all your individual apps on a regular basis for exactly the same reason! Try not to worry. If the unit’s too hot, it’ll tell you. Okay, so what if nothing’s showing up but you’re still concerned? The key is to reduce the number of activities running. Shut down apps, particularly if you’re playing a game or watching a video. You could also turn off Bluetooth by simply clicking on the appropriate icon in the middle of your Control Centre, or turning on Airplane Mode for 10 minutes. If this is a persistent problem, apps might still be to blame. Your first port of call should be Settings > General > Background App Refresh. In fact, Settings is a good place to check out anything. Check which apps are using the most power — the likelihood is that the ones listed towards the top are guilty of causing overheating. Applications that crash immediately or soon after you click on them are also a tell-tale sign that there’s something wrong. In that case, check for an update, only use it when your phone feels cool, or, should this continue, consider deleting it completely. Do not charge your phone if it’s hot. Charging it only increases the temperature. If you think charging the handset is the causes of the problem, unplug it and leave your phone and your charger to cool off a bit. When you plug it in again, don’t leave it unattended, just in case. When push comes to shove, there’s one thing you can do that’s almost guaranteed to cool down: turn it off. Don’t bother turning it on again before the heat has dissipated. If you remain concerned, take it to an Apple store. This is the sort of problem they see every day, so expect a laid-back approach from assistants. They should be able to ease your mind. Before pursuing a replacement battery, it’s worth checking what the actual problem is. Have you checked other reasons your battery might be losing power? Have you checked with Apple? Are you sure this is the right route for you? Then let’s explore what your options. Of course, when considering replacing your battery, Apple immediately springs to mind. Going the official route is definitely your best option if your iPhone’s still in warranty. AppleCare+ repairs your battery AppleCare Warranty: What Are Your Options and Is It Worth It? AppleCare Warranty: What Are Your Options and Is It Worth It? AppleCare+ protects your Apple device, but is it worth the cost? Here's what AppleCare+ offers and whether you should get it. Read More free of charge, but, as ever, conditions apply – notably it’s free if your battery only holds 80% (or less) of its full capacity. Plus, it depends on a diagnostics check to make sure you’ve not been doing anything you’re not supposed to do. They won’t be very pleased if it’s jailbroken. If there’s no Apple store nearby, search for companies in your vicinity that are authorized (and so officially trained) to carry out maintenance. You could contact Apple anyway, and enquire about replacements. You can do it online, but it’s better you call them so you can talk through the issues you’re having. They can send a box for you to ship your phone to them. Then you have to play the waiting game. It doesn’t matter whether you visit them in store or ship it to them: you’ll have to relinquish your phone for a while. Sometimes, a quick fix is possible. In the majority of cases, though, it’ll take 3- 5 business days (or at least a week in the UK) to get your device back. Third-party repair shops should be able to help. Be warned: you need to find someone trustworthy, so check out online reviews of local services or get word-of-mouth testimonials. You need to make sure they know what they’re doing! An added caveat of this is that it may, in some circumstances, invalidate your warranty, so do plenty of research before taking this step. How much cash will you have to hand over? Well, it once again depends on the circumstances. Image Credit: Nikki Buitendijk via Flickr. If you’re not covered for battery replacement, Apple will charge $79/ £86.44. But warranties don’t cover accidental damage, so for that, take advice from Apple employees on exact prices. Shipping costs $6.95 if you’re not part of the AppleCare+ program. Repair shops not affiliated with Apple will obviously differ widely in price; many will offer very competitive prices. Still, if there’s no official store anywhere near you, having a monopoly on such services may bump up the price. If your phone is insured, talk to the firm before proceeding. Determine exactly what’s covered, and how much it’ll cost you, if anything. They might only cover costs if Apple alone replaces your battery. Is your iPhone still covered by its warranty? It’s absolutely worth replacing your battery. As for other circumstances, it’s up to you. Let’s say your phone is still pretty new, you’re not overly enamored with newer models Which iPhone is Best for You? Which iPhone is Best for You? Apple currently sells five different models of smartphone. If you've decided you want to buy an iPhone, you might be wondering which one you should go for. Read More , and is just out of its warranty. $79 pales in comparison to the $649 for an iPhone 7 or $769 for an iPhone 7 Plus. Replacing your battery should eke out a few more years’ of usage for a much-loved device, and save you all the hassle of transferring all your data to a new handset. 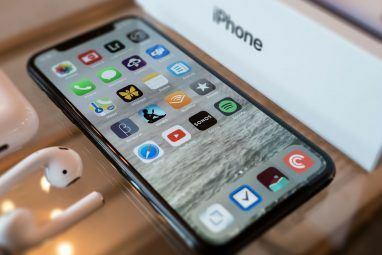 However, if your device is a number of years old, and you’ve got your eye on a newer model, then it’s probably preferable you save a back-up of your content New iPhone? How to Transfer Your Data From iOS or Android New iPhone? How to Transfer Your Data From iOS or Android Transferring data to your new iPhone? Migrating from Android? Relax, it's easy to take your data with you. Read More and invest in a different phone. Shop around. Compare prices. Talk to an Apple representative. Most of them will give you fair advice. Ah, but you might feel differently if you’re confident enough to do the replacement yourself. It’s by far the cheapest way of replacing your iPhone battery: don’t rely on a professional; do it yourself and save some serious cash! Apple will charge $79. You can buy a replacement kit for less than $10. These kits don’t always include a battery, so ensure you know what you’re buying. An average package contains a few differently-sized screwdrivers (suffice to say, they’ll be very small); a suction cup, used to lift the handset away; triangular opening tools; and an installation guide. Should you go for a $5 kit? Remember: you get what you pay for, so your best bet is going for a slightly higher-priced set. Don’t pay more than $30, even for kits related to the most recent model. Another option is, of course, to buy the battery separate from the kit (useful if you’ve replaced one before and so still have all the tools needed). Furthermore, make sure you get the correct replacement battery. It’s a silly mistake, but these things happen. The main problem you’ll experience with doing it yourself is… that you have to do it yourself. Look, it’s a very fiddly thing to do. It’ll help if you’ve got an ordered mind and can remember sequences well. It’ll be a nightmare if you lose a screw. Do anything wrong, and you could be left with a dead handset. That’s why you should definitely create a new back-up on your PC or through iCloud before attempting this. If this worst happens, at least you’ve still got a copy of your data New iPhone? How to Transfer Your Data From iOS or Android New iPhone? How to Transfer Your Data From iOS or Android Transferring data to your new iPhone? Migrating from Android? Relax, it's easy to take your data with you. Read More . You should also use a surface with raised edges (consider a dinner tray How To Make Your Own DIY Vented Laptop Tray How To Make Your Own DIY Vented Laptop Tray Read More ) so if a component rolls away from you, it won’t be lost in the carpet. Make sure you’ve got adequate light, and a magnifying glass will also help. Should You Recycle Your Battery? Please don’t just throw your iPhone battery in the trash Thou Shalt Consume: The Story of Consumer Electronics [Feature] Thou Shalt Consume: The Story of Consumer Electronics [Feature] Every year, exhibitions around the world present new high tech devices; expensive toys that come with many promises. They aim to make our lives easier, more fun, super connected, and of course they are status... Read More . Its components — specifically, lead, mercury, nickel, and cadmium — are harmful to the environment 5 Ways Tech Will Save the Environment 5 Ways Tech Will Save the Environment Technology is often seen as an anti-ecology villain - but did you know that advanced technology is being used, right now, in cutting-edge conservation? Read More . Instead, Apple operates a recycling program for repairs and replacements carried out by the company itself or by authorized affiliates. They can recycle your whole device Beware These 8 Security Issues When Recycling Hardware Beware These 8 Security Issues When Recycling Hardware Recycling old hardware is a good idea, but you don't want to give away personal data. Consider these security concerns before getting rid of your hardware, and see what you can do about them. Read More , not just your battery, and in some cases can offer incentives like store credit. Whether you replaced the battery yourself or asked a professional to do it, it’s worth checking with Apple to see if they’ll offer that same service. Otherwise, contact your local waste disposal centre or even phone and repair shops nearby. They’ll be able to advise you about recycling measures in your vicinity The Truth About e-Waste Recycling and Its Effectiveness The Truth About e-Waste Recycling and Its Effectiveness The world is producing more e-waste than ever before. We should be recycling it, but there are some problems there that you may not be aware of. Read More . If your phone still struggles to maintain a healthy charge, check with Apple about possible causes. However, if it’s simply that you’re concerned you’ll run out of juice mid-journey 5 Ways To Charge Your Phone In An Emergency 5 Ways To Charge Your Phone In An Emergency Smartphones can be important tools in an emergency. Besides providing the chance to call for help, a phone can act as a flashlight, compass and GPS. But all of a phone’s functions rely on the... Read More , there’s one way to ensure a little extra power: external batteries. Image Credit: yoppy via Flickr. Following the success of Pokémon Go, many shops experienced an increased interest in power packs. External batteries come in various shapes and sizes What's a Quick Charger? Here's Why You Need One Now What's a Quick Charger? Here's Why You Need One Now Smartphones take less time to charge up these days and it's all thanks to a new technology called Quick Charge. If you don't have it yet, you'll want it soon. Read More . They’re designed to be easily portable, with some acting as a case to pump in extra charge should you require it. Most are cylindrical or resemble a flat rectangle that you charge up at home and keep on you, alongside a USB cable to connect the two. A standard one should add an extra 30%, while more expensive models can help your battery last a further two days. Are they worth it? It may depend on the make you go with The 6 Best Backup Battery Packs for Extending Your Phone's Uptime The 6 Best Backup Battery Packs for Extending Your Phone's Uptime A battery pack is one of the best ways to charge your phone in an emergency. Here are a few portable power banks that might be just what you need. Read More , but generally, yes, they’re worth it. Their real purpose is peace of mind. And heck, they make great Christmas presents Top 10 Tech Gifts for Dad This Christmas Top 10 Tech Gifts for Dad This Christmas Here are our top ten tech gifts for your dad and that'll make this holiday season one to remember. Read More ! See? There’s a lot more to your iPhone battery than you might initially realize. Image Credit: Karlis Dambrans via Flickr. It’s a shame that we rarely appreciate how brilliant those slim components hidden under a smartphone’s hood are. Instead, we worry about losing charge, drop it on the floor, and stress out when it heats up a little. We hope you’ve found plenty to give you a new appreciation. Or at least to help you eke out as many hours’ power as you can. Which apps have you ditched because they eat up power? Have you ever replaced your battery? Or are you concerned that your phone isn’t charging correctly? Let us know in the comments below. Explore more about: Battery Life, iPhone, Longform Guide.